Rooms have a wonderful view of the countryside. Elegant suites to enjoy the perfect vacation. Exclusive tours, horse riding, tasting sessions and cycling. 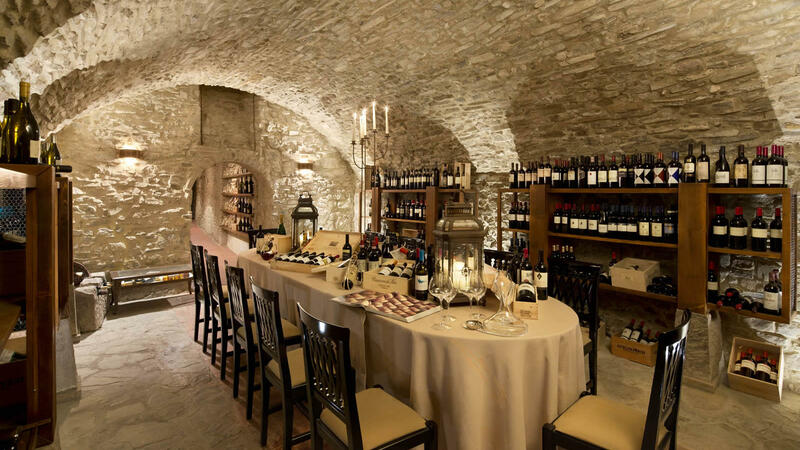 Experience regional wine and olive oil tastings.  UNAHOTELS Palazzo Mannaioni Toscana has 38 rooms, 6 junior suites and 3 elegant suites. 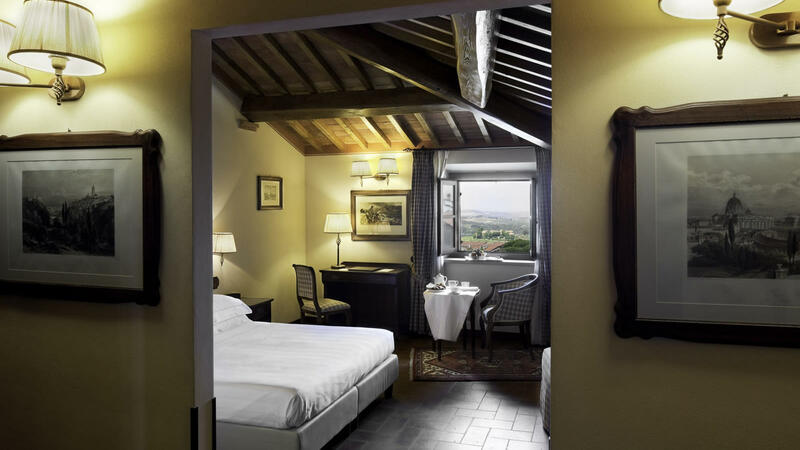 Rooms have a wonderful view of the countryside and are a classic example of Tuscan style. 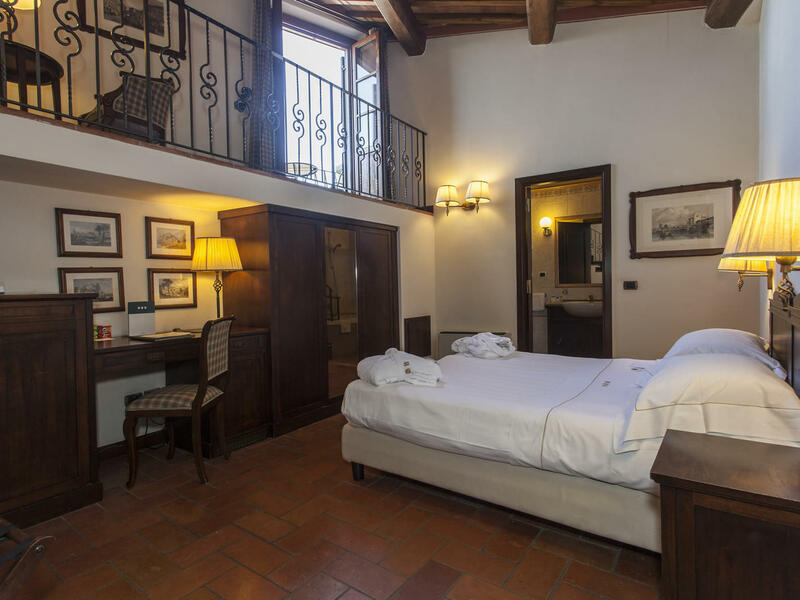 The Classic rooms, some with “cotto” floors and beamed ceilings, others with a wooden floor and frescoes, recall the warm colours of the Tuscan countryside. The rooms can be twin or double and offer satellite TV, independent air conditioning, safe, minibar and hairdryer. The bathroom has either a bathtub or shower. Unlimited WiFi is available on request for a fee. The New Classic rooms, located in the new wing, have country-style furnishings with decorative elements inspired by the surrounding nature, such as deer, leaves and trees. The texture and colour of the fabrics emphasise the feeling of intimate closeness to nature. The rooms can be twin or double and offer satellite TV, independent air conditioning, safe, minibar and hairdryer. The bathroom has either a bathtub or shower. Free WiFi. The Superior rooms, twin or double, are located in the main building. 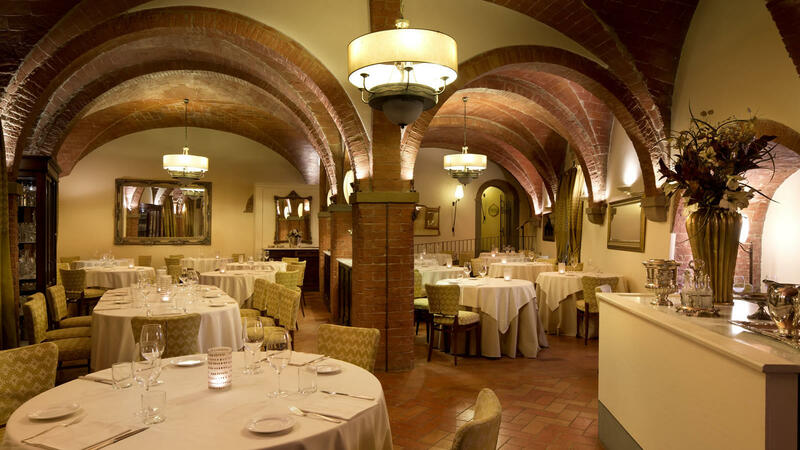 Some rooms have “cotto” floors and beamed ceilings while others have a wooden floor and frescoes. Some have a beautiful view of the Tuscan countryside, while others are larger. The Superior rooms offer satellite TV, independent air conditioning, safe, minibar and hairdryer. The bathroom comes with either a bathtub or shower. Free unlimited WiFi is included. 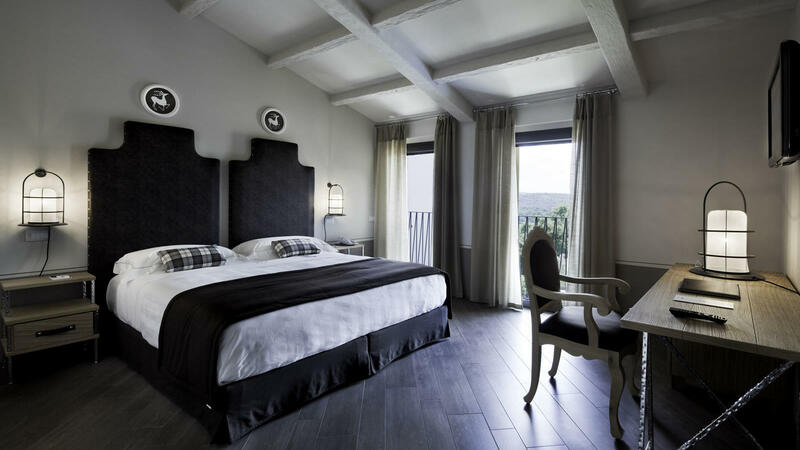 The New Superior rooms (about 20 m²), twin or double, are located in the new wing. Some rooms are on the ground floor and have access to an external private space, an intimate setting for you to relax in. Other rooms are on the upper floors and are more spacious. The woods and deer are the main themes of the country-style furnishings. The rooms offer satellite TV, independent air conditioning, safe, minibar and hairdryer. The bathroom comes with either a bathtub or shower.  Free unlimited WiFi is included. 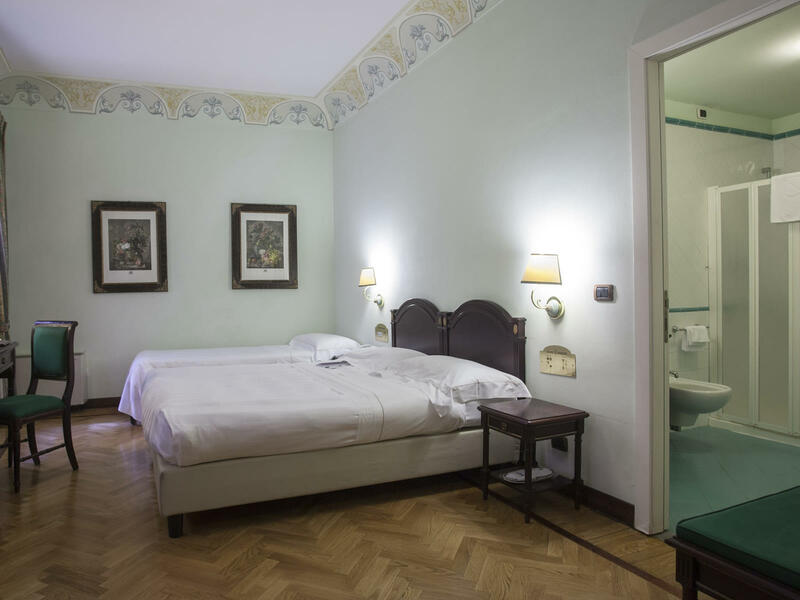 The Junior Suites (18 m²) overlook the small Italian-style garden. 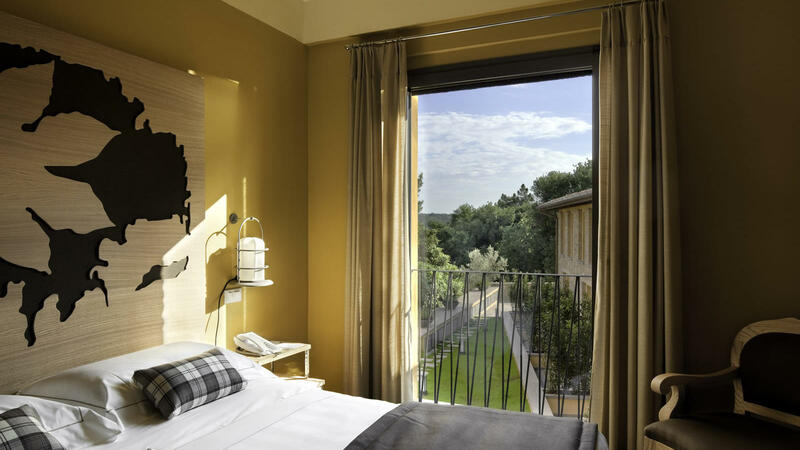 All the rooms have a balcony from which it is possible to enjoy the surrounding hills and countryside. The Junior Suites all have “cotto” floors and beamed ceilings, except one, which has a parquet floor and painted frames on the ceiling. Some rooms also have a mezzanine with a table and 2 chairs. The rooms offer satellite TV, independent air conditioning, safe, minibar and hairdryer. The bathroom comes with either a bathtub or shower. 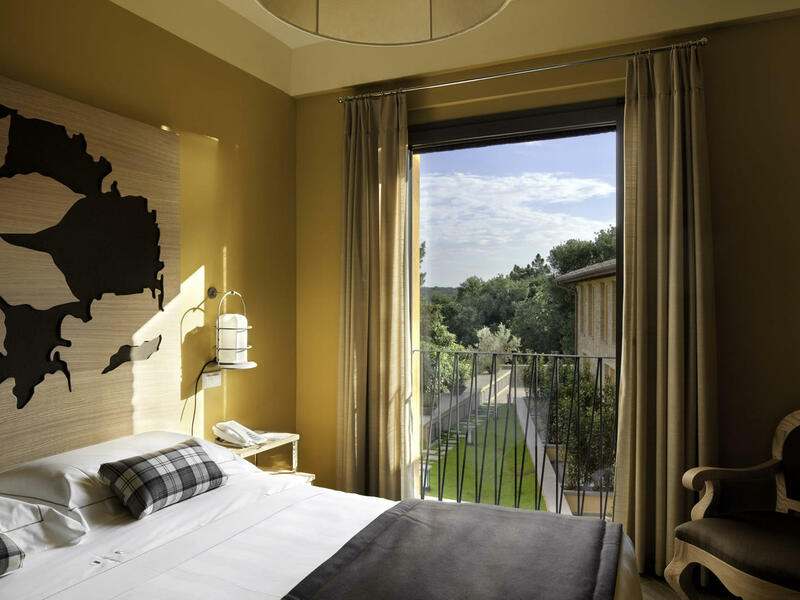 The New Junior Suites (25 m²) are in the new wing and have “cotto” floors and beamed ceilings. Some rooms are on the ground floor and have a private outdoor space with table and chairs; others are on upper floors with a view of the countryside. 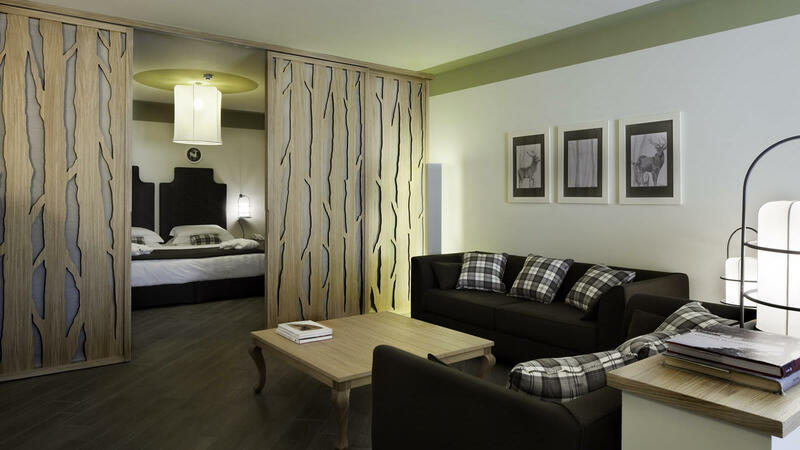 The Junior Suites offer satellite TV, independent air conditioning, safe, minibar and hairdryer. The bathroom comes with either a bathtub or shower. 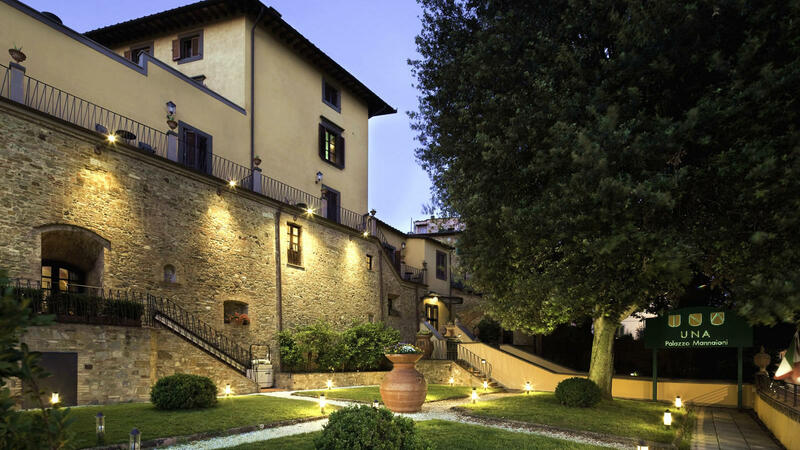 The Palazzo Mannaioni Toscana's exclusive Suites are individually finished with an authentic Tuscan style and charm, celebrating the historic building's original features at the same time as offering guests the ultimate in Italian luxury. Each of the Suites features a living area and sofa bed, in addition to satellite TV, a safe, minibar, air conditioning and complimentary WiFi. 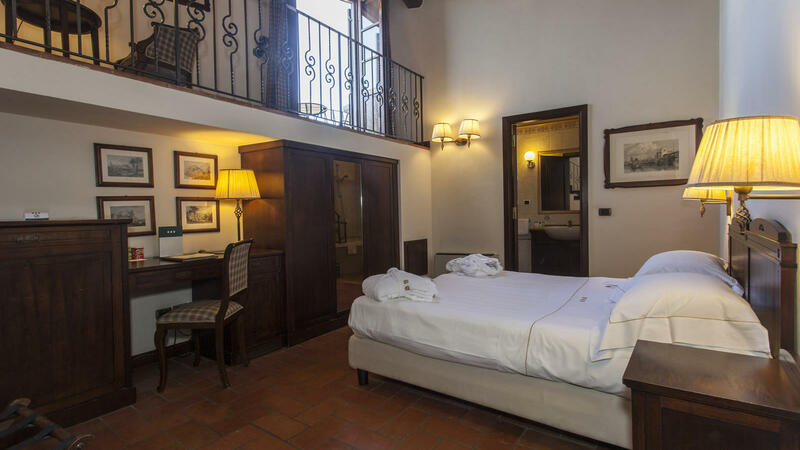 Suites San Vivaldo and Santo Stefano both feature two fully equipped bathrooms, while Suite La Cervaia enjoys a private furnished outdoor space. 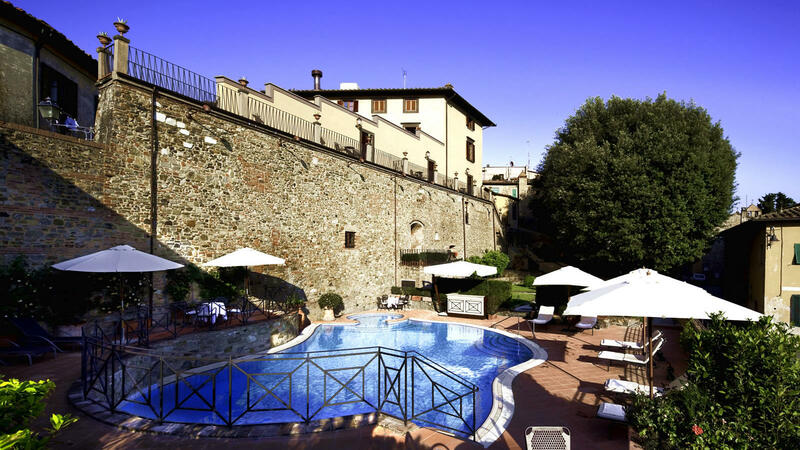 Guests of the Palazzo Mannaioni Toscana also enjoy a select pillow menu and, to begin each day, a complimentary breakfast of fresh, local produce. 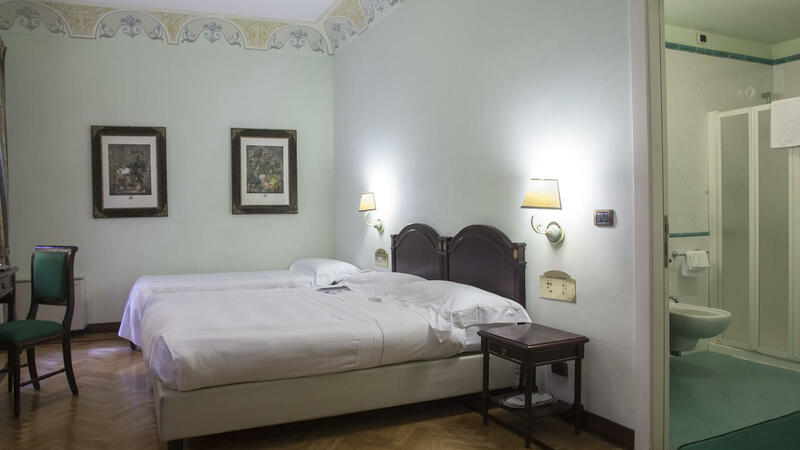 Family rooms, some with “cotto” floors and beamed ceilings, others with wooden floors and frescoes, can be in the form of a double plus a third bed or a double plus a baby cot. They offer satellite TV, independent air conditioning, safe, minibar and hairdryer. The bathroom comes with either a bathtub or shower. 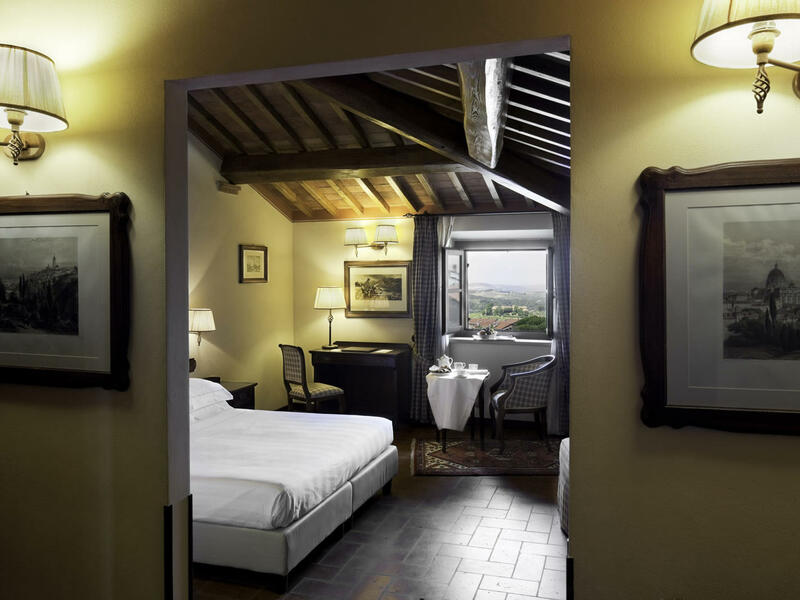 The large room is a cosy place to enjoy the view of the Tuscan hills with your family. New Family rooms are located in the new wing and have country-style furnishings with decorative elements inspired by the surrounding nature, such as deer, leaves and trees. The rooms can be in the form of a double plus a third bed or a double plus a baby cot. They offer satellite TV, independent air conditioning, safe, minibar and hairdryer. The bathroom comes with either a bathtub or shower.